Super 8. We print full color signs for several applications. Our favorite is a “reverse print” sign where we print underneath the a clear surface to give a great shine yet well protected surface. 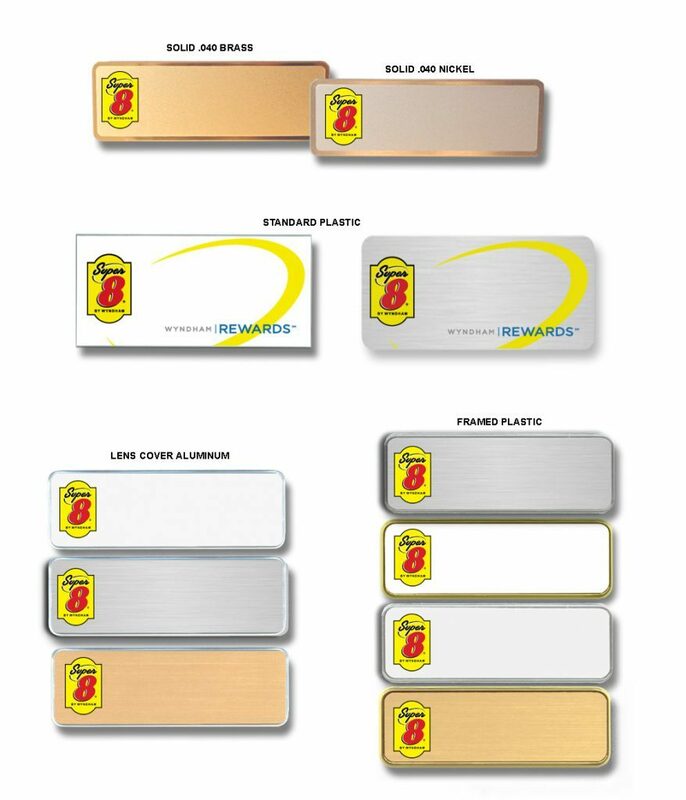 These are samples of logo name badges we’ve done for Super 8.